Hackathons have become increasingly popular over the years. On a superficial level, a hackathon is still seen as a one-off annual event or a PR stunt. According to the 2017 Global hackathon report, more than 50% of hackathons conducted worldwide are recurring events. Companies such as Facebook and Cognizant use hackathons as tools for sustained innovation. Even smaller companies with a shoestring budget for innovation find hackathons as a safe and promising bet. Broadly speaking, innovation is the process of commercializing new and innovative ideas. Let’s take a typical innovation process, for example. The first step of the process is discovery. Discovery is the act of choosing your area of focus for innovation. It can be emerging trends, a big market insight that has the potential to disrupt the market or even a game-changing technology. 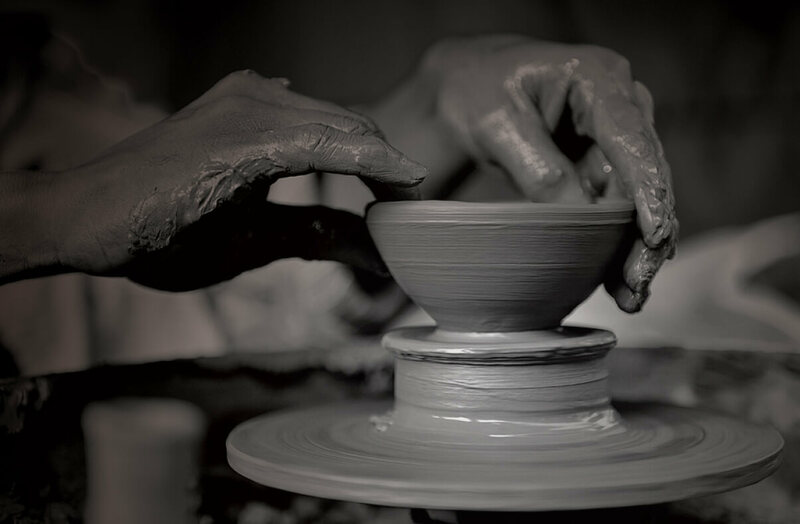 Once the area of focus is finalized, then you need to choose how can you exploit the opportunity. In other words, you figure out what can be done in this space that would offer the opportunity growth. And you need to consider all possible ideas. And this where the second stage of the innovation process, ideation, comes in. Rather than depending on a few ideas, you open it up to a larger group internally or externally. The next step of the innovation process would be execution, where the ideas are evaluated and the best ones are shortlisted. This is followed by the development of a prototype, followed by a feasibility study and if all goes well, you roll it out to the market. The challenge lies in executing every step of the innovation process efficiently and connecting them in a coherent manner. With hackathons, you can take the market insights you have identified, translate it into themes and problem statements and open it up for ideation followed by the development of prototypes. For instance, KONE, one of the world’s largest elevator manufacturers, wanted to capitalize on the expected $37 billion market growth. It conducted a hackathon with the identified market drivers as themes such as smart elevators, security, and energy efficiency. 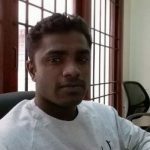 It opened the challenge to the developer community around the globe and ended up with working prototypes in a span of few weeks. 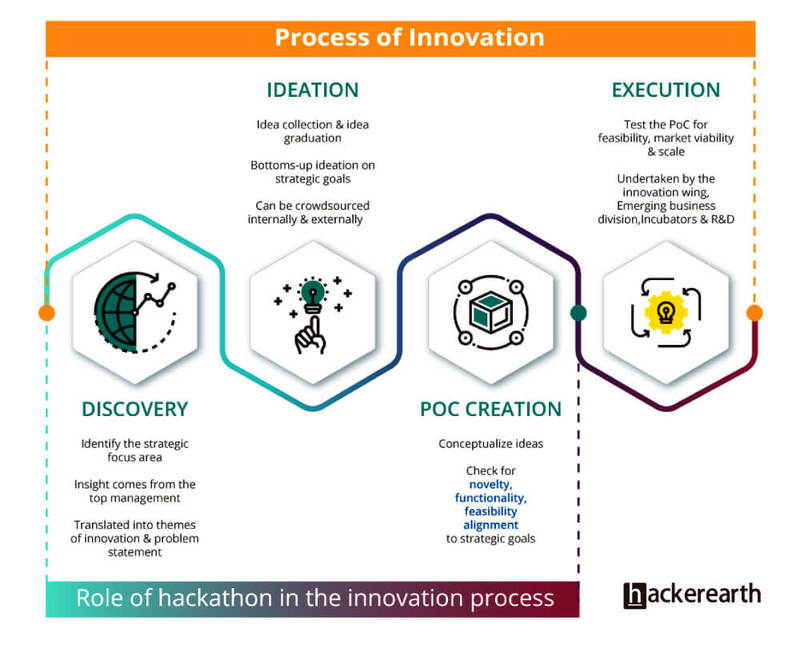 The infographic below clearly shows how valuable a hackathon can be in the process of innovation. What makes a hackathon unique is that it is the only tool that enables the creation of minimum viable products or prototypes from ideas. 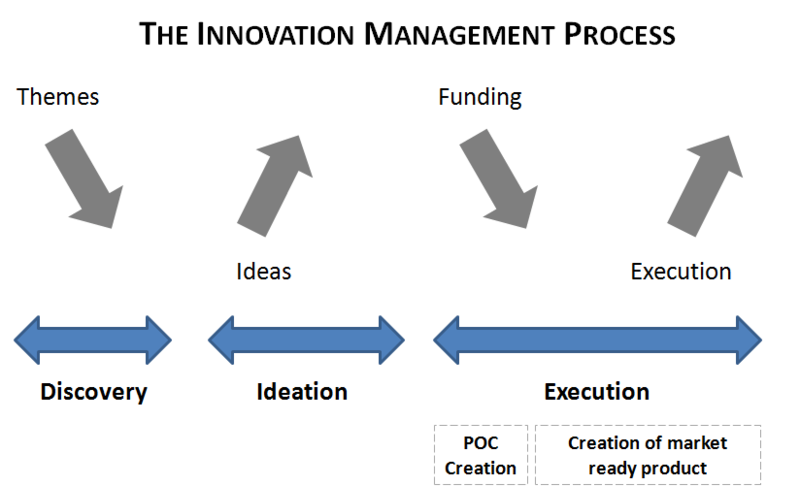 There is no other innovation activity that covers roughly 70% of the process. Hackathons are swift. The entire process of creating a hackathon, marketing the event, driving registrations, ideating, and creating prototypes typically takes 30 to 40 days. At the end of the event, you are left with working prototypes. An innovation program cannot get more agile than this. The diversity of ideas is another important factor. When you open up a problem to a global audience, you are bound to receive a diverse set of ideas which wouldn’t be possible with traditional innovation models. Overall, a hackathon is a consummate tool for sustained innovation. Regular events yield better results than one-off hackathons. If treated as an innovation program and crafted meticulously and executed efficiently, it is the most cost effective innovation tool. [Ebook] How to conduct your first hackathon. Download now.